When we arrived, the board was already out and the player that had just lost was already gone from the tournament area. 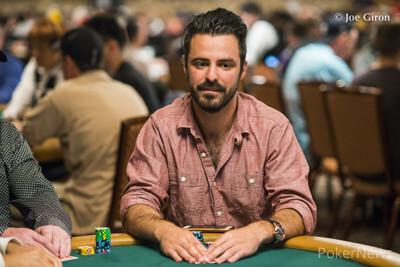 We later found out it was 2012 bracelet winner and 2015 November Niner Max Steinberg who was the one to go bust. According to Steinberg's twitter, Michael Rack opened under the gun for 375. Steinberg three-bet to 1,200 under the gun plus two and both blinds called. Rack four-bet to 45,000 and Steinberg moved all in for 50,000. The blinds folded, Rack called. The board ran out to give Rack a set of kings and the first bust-out of the day a mere five minutes into the tournament. 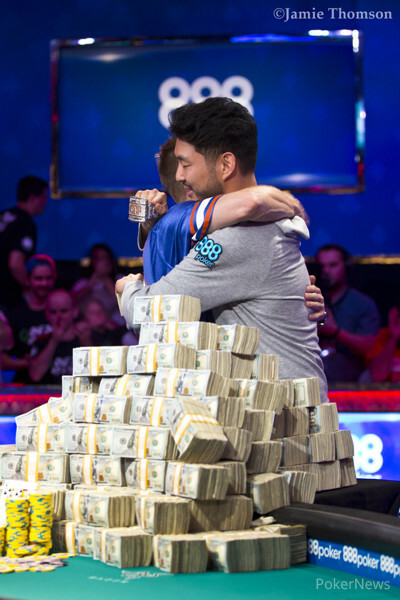 Steinberg out as the first player on Day 1b of the 2018 World Series of Poker Main Event.